The concept of an encyclopedic museum was born of the Enlightenment, a manifestation of society’s growing belief that the spread of knowledge and the promotion of intellectual inquiry were crucial to human development and the future of a rational society. But in recent years, museums have been under attack, with critics arguing that they are little more than relics and promoters of imperialism. Could it be that the encyclopedic museum has outlived its usefulness? With Museums Matter, James Cuno, president and director of the Art Institute of Chicago, replies with a resounding “No!” He takes us on a brief tour of the modern museum, from the creation of the British Museum—the archetypal encyclopedic collection—to the present, when major museums host millions of visitors annually and play a major role in the cultural lives of their cities. 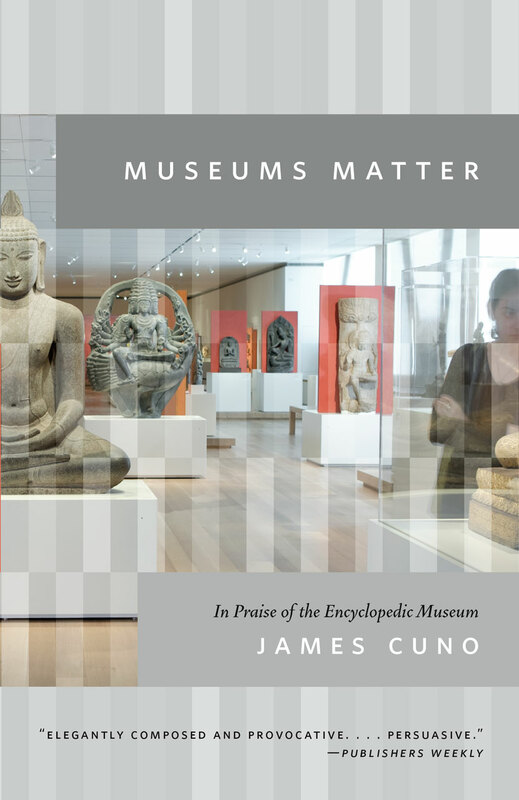 Along the way, Cuno acknowledges the legitimate questions about the role of museums in nation-building and imperialism, but he argues strenuously that even a truly national museum like the Louvre can’t help but open visitors’ eyes and minds to the wide diversity of world cultures and the stunning art that is our common heritage. Engaging with thinkers such as Edward Said and Martha Nussbaum, and drawing on examples from the politics of India to the destruction of the Bramiyan Buddhas to the history of trade and travel, Cuno makes a case for the encyclopedic museum as a truly cosmopolitan institution, promoting tolerance, understanding, and a shared sense of history—values that are essential in our ever more globalized age. Powerful, passionate, and to the point, Museums Matter is the product of a lifetime of working in and thinking about museums; no museumgoer should miss it. "Elegantly composed and provocative. . . . Persuasive." “The encyclopaedic museum offers a quietly radical vision of the nature of human history and society, in which culture is not a badge to wear, but simply something to be shared. . . . Cuno believes deeply in this unifying, global function of the museum."